Enova Halloween Event - Enova International, Inc.
HERP DERP is back! And this time, teams brought their all. 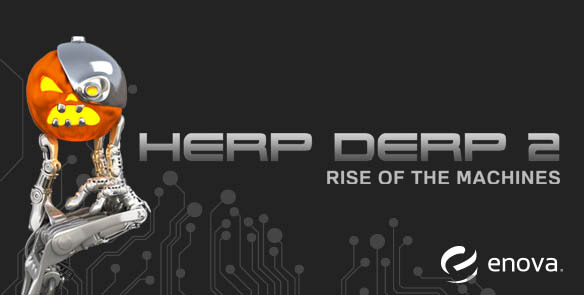 What is HERP DERP you may ask? HERP DERP, or the Haunted Enova Robo Pumpkin Doing Electric Roar Project, is an annual Enova Halloween contest, which combines pumpkin carving and technical feat. In past primitive years, there was a lot of trial and error and projects turned out nice. But this year, the intensity and intricacy was kicked up a notch with bigger and better — and brighter tech components/additions. Votes were tallied and the winners were chosen! 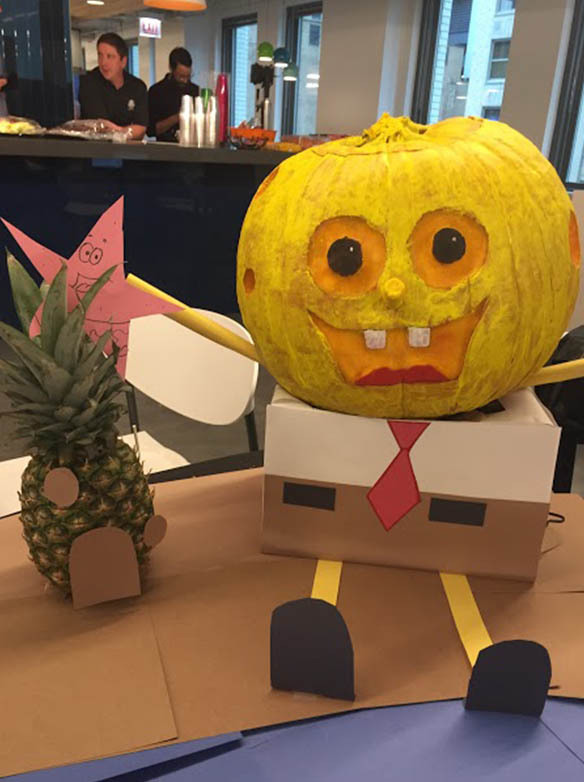 Spookiest Design: THE SCARY FRUIT NINJA! Best Use of Technology: HELL KITTY!